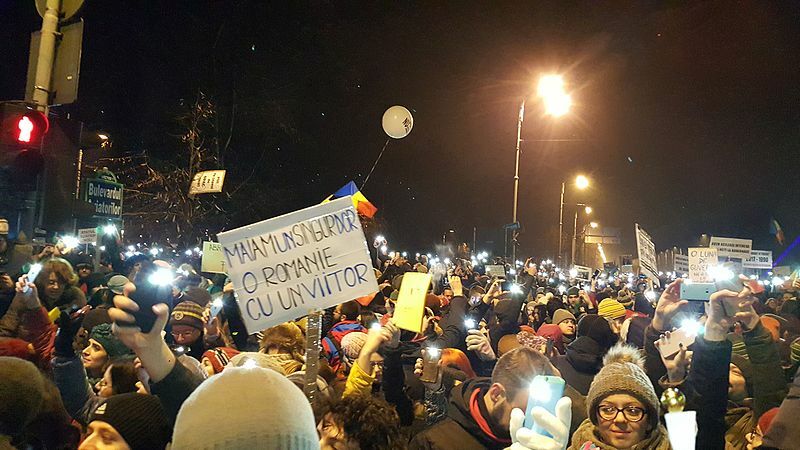 Over ten thousand Romanians rallied in front of the government building in Victory Square, Bucharest, as well as in Cluj, Sibiu, Timişoara, Iaşi, Bacău, Constanţa, and Braşov, on February 24, to protest against the latest emergency ordinance adopted by the Romanian government. 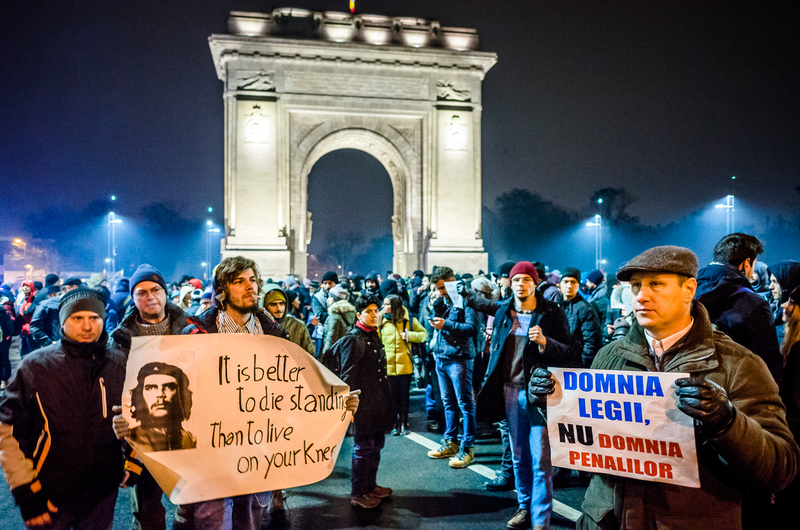 The last protest took place in Bucharest on March 30. They chanted “Justice, not corruption!”, “Resignation”, and “PSD, the red plague”. This is the fourth modification of justice laws in the last 6 months, issued as an emergency ordinance by the government, without the Parliament’s approval. The Social Democrat Party (PSD) lead Government is changing the laws of justice and the criminal codes to make it more difficult for prosecutors to investigate politicians in power. This new emergency ordonnance, adopted on February 19, 2019, brings multiple law changes and adds new ones. A modification concerns the access to high-level prosecutor positions of the Public Ministry, such as Chief Prosecutor and deputy of the National Anti-Corruption Directorate, Directorate for the Investigation of Organized Crime and Terrorism, and Prosecutor's Office attached to the High Court of Cassation and Justice. The candidates for these positions were previously named by The Superior Council of Magistrates (CSM), an institution that guarantees the independence of the judiciary, by proposing to the President of Romania the appointment of judges and prosecutors in Office, to ensure the proper conduct of their professional activity. These positions are to be filled by candidates proposed only by the Minister of Justice and appointed by the president of Romania. Furthermore, these positions can no longer be delegated, and those who are now delegated may stay in their positions for up to 45 days after the publication of this ordonnance. Subsequently, the positions will be occupied as required by the law changes. Also, the governing board of the courts can no longer adopt regulations to add to the law on the grounds that it is unclear or not predictable. A new law defines the selection process of the Romanian European Prosecutor and Delegated Prosecutor for the European Public Prosecutor’s Office EPPO, a newly-established institution that will investigate corruption and crimes against the financial interests of the European Union. According to the new law, the Minister of Justice will propose candidates and the president will appoint. The National Anti-Corruption Directorate (DNA) reacted by publishing a message on their public site, stating that the institution is in danger of being blocked by this new ordonnance OUG 7/2019 adopted February 19, and combating high-level corruption may be paralyzed. After a meeting that took place February 26 between the CSM and the DNA, they declared that the changes made to the law in regards to OUG 7/2019 are unconstitutional and will prohibit the activity of the Public Ministry, including the DNA. Since February 25, magistrates, prosecutors and judges started protesting through signs, in front of over 80 courthouses, in the capital and major cities around the country, informing that they will suspend their activity this week, except for urgent cases that cannot be postponed. Other legislative changes affect magistrates directly. Magistrates can no longer benefit from a pension if they have been dismissed for imputable reasons. Magistrates may be dismissed from their position if they lose their “good reputation.” The law does not define “good reputation” or give any criteria from which it can be determined. This modification has been especially critiqued due to its large subjectivity and general nature. 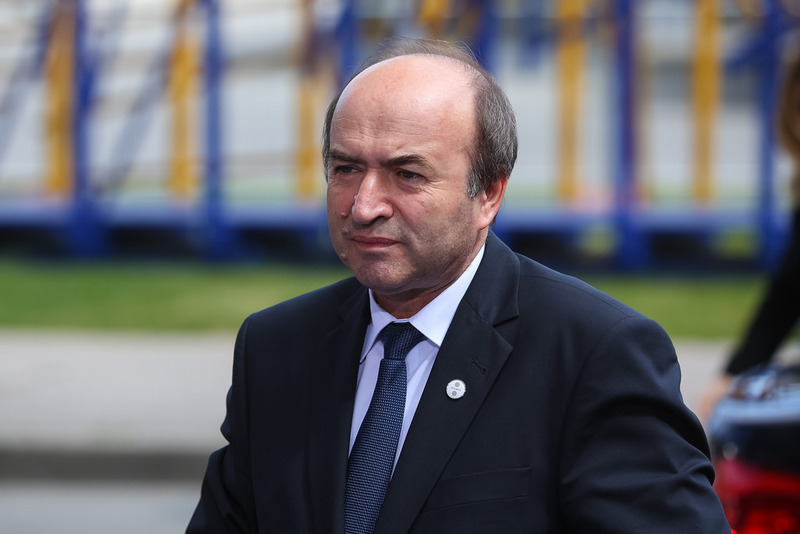 Minister of Justice, Tudorel Toader, introduced the inception of a special section investigating magistrates, by modifying the law organization of the judiciary system in July 2018. The law modified again through an emergency ordonnance in October 2018, by which the new Section Investigating Crimes Committed by Magistrates was to take over all past and current cases and case files involving crimes committed in the justice system from the Directorate of National Anti-Corruption DNA, which according to the new ordonnance, no longer has legal jurisdiction over such cases. Romanian President Klaus Iohannis declared on Facebook “The independence of Justice is not negotiable! The PSD Government once again threatens the rule of law by adopting OUG no. 7/2019. I request the Government to immediately repeal the Ordinance that affects the separation of powers in the state and the obligations assumed by Romania as an EU member state. We cannot ignore the unprecedented protests of the magistrates over the political control injustice, nor the discontents that are publicly demonstrated by the citizens, which are clear evidence that the Romanian democracy is mature and responds to the abusive conduct of the PSD government." Ministry of Justice, Tudorel Toader, which will be in charge of proposing all high-level prosecutors candidates, is the same one who pushed through legislation OUG 7/2019. He also forced the firing of DNA crusading anti-corruption Chief Prosecutor Laura Codruta Kovesi, who was investigating top government officials. Under her five year administration, conviction rates for high-level graft increased, hundreds of corruption sentences were pronounced, including Ministers, deputies, senators. Major cases involve Romania's most powerful politician, Liviu Dragnea, leader of the PSD ruling party, Darius Valcov, former Minister of Finance, Minister of Internal Affairs Cristian David, Constitutional Court Judge Toni Grebla. On the day of her dismissal, July 9, 2018, Kovesi stood in the marble hallway at the entrance of DNA headquarters in central Bucharest. “I have a message for Romanian citizens,” she told reporters. “Corruption can be defeated. Don’t give up.” Kovesi is currently in the race for the position of Chief Prosecutor of the new European Public Prosecutor’s Office (EPPO). This institution will prosecute fraudulent use of EU money - a field where many cases involve central and Eastern European governments, including Romania's. Immediately after announcing her candidacy, the ruling coalition in Bucharest renewed their attacks against her, trying to block her appointment. However, the selection board, made of independent international specialists, placed her at the top of the three-candidate list, followed by Jean-François Bohnert (France) and Andrés Ritter (Germany). Only a few days after Kovesi was classified at the top of the list for EU Head Prosecutor candidates, she was subpoenaed by Adina Florea, who announced that she opened an investigation for abuse of office, bribery and false testimony against Kovesi. The investigation is based on the testimony of former PSD deputy Sebastian Ghita, who fled the country after being convicted in several DNA cases. The interrogation was carried out by the new head of the special Section for Investigating Crimes Committed by Magistrates, Adina Florea. The establishment became operational in October, despite the (Group of States Against Corruption) GRECO and the (Committee of Experts on the Evaluation of Anti-Money Laundering Measures and the Financing of Terrorism) MONEYVAL’s strong recommendation to abolish the special section. Critics see the organization as a political creation, as it sits outside the jurisdiction of the general prosecutor. 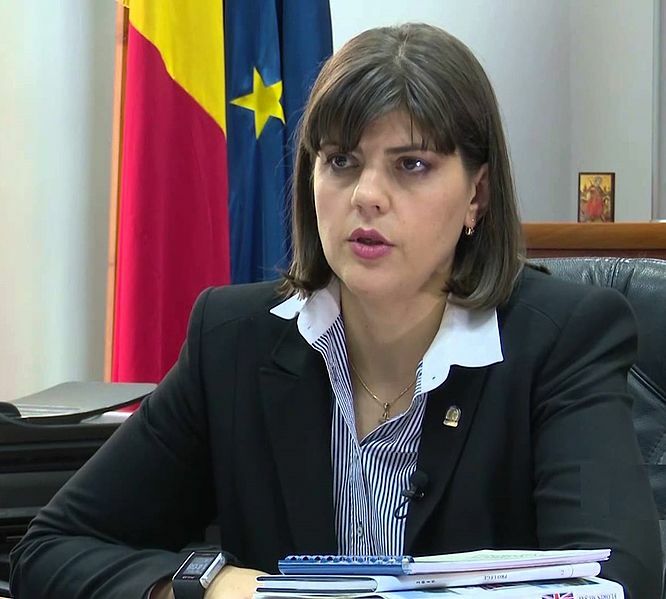 Kovesi was questioned for the second time by the special Section for Investigating Crimes Committed by Magistrates in Bucharest on March 7th- the same day the European Parliament was proceeding regarding the first head of the European Public Prosecutor's Office. Before her current position within the special section, Adina Florea was proposed twice as Head Prosecutor of the DNA by Justice Minister Tudorel Toader and refused twice by President Klaus Iohannis. "There is a desperation to stop me in everything I do because of my candidacy," Kovesi told journalists and supporters as she emerged from the interrogation. "They summoned me on the 7th of March knowing that exactly today the European Parliament would vote on my candidacy." The Romanian Minister of Justice sent a letter to the Financial Times on March 7th, entitled “The coercion in Romanian anti-corruption campaign”, as a response to the FT's "The right woman to be Europe's chief prosecutor". The first paragraph reads “I have nothing personal against Laura Codruta Kovesi, one of three candidates for the position of chief prosecutor in the newly created European Public Prosecutor’s Office (February 28). But from all the evidence I have seen- from judges, prosecutors and other credible sources- she should not be appointed to this vitally important position." The minister continues by accusing the DNA of breaking the law under Kovesi’s administration. There is no wonder that he issued the letter on March 7th, the same day the Conference of Presidents of the European Parliament - the leaders of the political groups and the president of the forum Antonio Tanjani – took the next steps on the appointment of the European Chief Prosecutor. If the Minister’s efforts to keep Kovesi from her candidacy were transparent to some before, they have now officially become known to the globe. Despite all efforts made by the Romanian Government to discredit Kovesi, the European Parliament nominated her to become the first head of the European Public Prosecutor's Office. Negotiations between the European Parliament and the Council of the European Union continued in Strasbourg March 27, 2019, we will most likely see the next installment of protests soon.